There is no doubt, certainly, that the Berkshire Museum’s New Vision plan, which involves “building on the Museum’s focus on science and history” violates that standard. But is the current standard the right one to have? 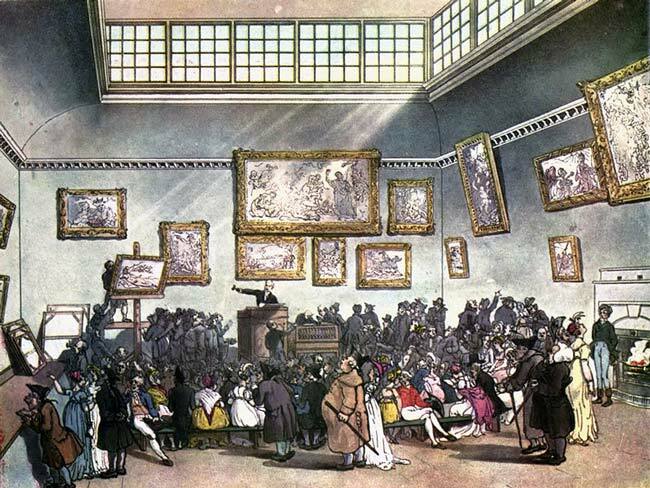 If rules against deaccessioning did not exist, Cinnamon Catlin-Legutko warns in Museum Administration 2.0, the collection would appear to be “a cash reserve to be used anytime it is needed.” Beatty agrees that keeping museum art off the market is crucial, but he suggests there may be better ways to achieve that goal. The matter is important, Beatty adds, because regardless of whether the Berkshire Museum board made the right call—as NPQ has reported, dissenters in Pittsfield included two former board members—it is not a unique case. The inflexible rule on deaccessioning forces them [the Berkshire Museum board] into an all-or-nothing choice. Right now, there is no “ethical” vehicle by which a museum might sell high-value artifacts for any purpose other than to buy and protect other artifacts. An institution like the Berkshire Museum risks professional censure whether they sell a painting on the open market or to another museum—assuming they plan to use the proceeds to fund their New Vision. Why wouldn’t they make the rational choice to get as much money as possible for their sins? The worry, of course, is that once you acknowledge that museum boards may adjust their missions to meet community needs, a free-for-all might emerge. Worse, others may demand that a museum sell art for other purposes, such as to pay off debts—as creditors tried to force the Detroit Institute of Art to do a few years ago. If the art world adopted this approach, art sale income would face fewer restrictions, but on the condition that the art is sold to other museums rather than at auction. While the Berkshire settlement imposed this condition on one key artwork, Norman Rockwell’s Shuffleton Barbershop, which was purchased by the Lucas Museum of Art, the remaining artworks are being sold by Sotheby’s.